Miles Davis' nephew, Vince Wilburn Jr. (left) and the trumpeter's children, Cheryl Ann and Erin Davis, manage the late artist's estate. 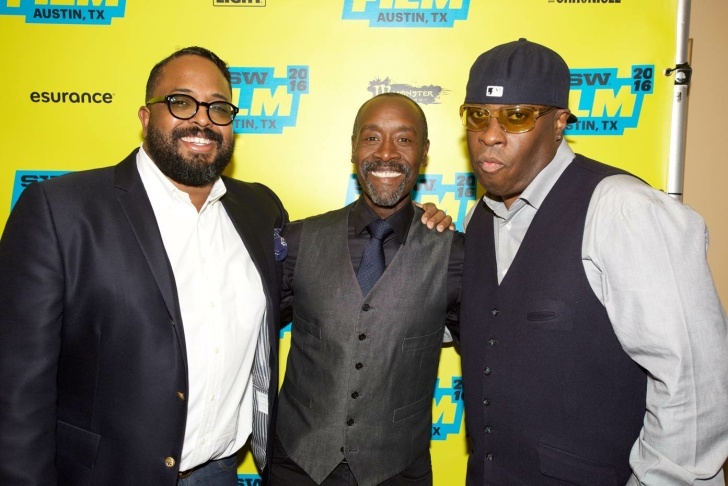 Erin Davis, Don Cheadle, Vince Wilburn, Jr. at the SXSW screening of "Miles Ahead"
Don Cheadle directed and stars in the Miles Davis biopic, "Miles Ahead." Miles Davis had an immense influence on jazz throughout his career. 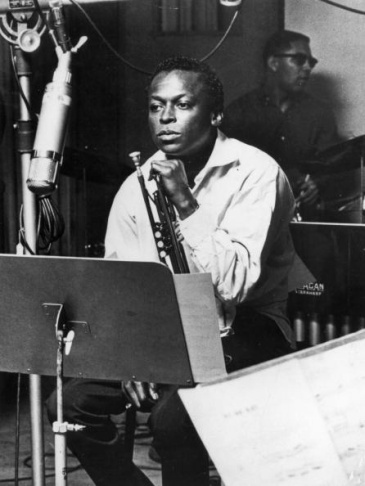 “Miles Ahead,” the long-awaited movie about Miles Davis, will be released in theaters this week after making the rounds of film festivals in the U.S. and Europe. It stars Don Cheadle as the late trumpeter. The film also marks Cheadle’s directorial debut. 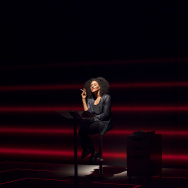 The score was created by pianist and composer Robert Glasper. In the nearly 25 years since Miles Davis died, there have been several attempts to translate his life to the screen. (Wesley Snipes was reportedly attached to play him at one point!) But any filmmaker with a pitch had to get the blessing of the Davis family members who are the keepers of the artist's legacy. Erin Davis is the musician's youngest son and Vince Wilburn Jr. is the trumpeter's nephew. 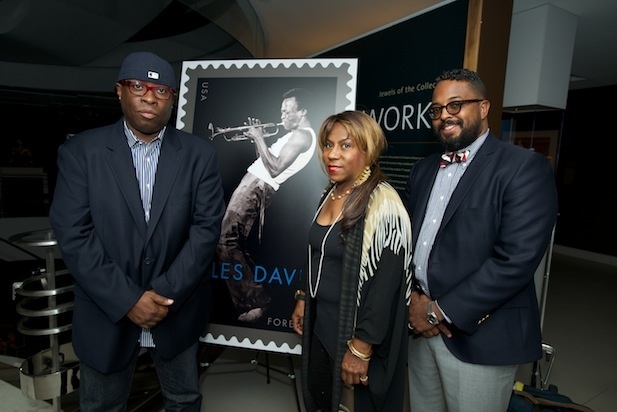 The two cousins, along with Erin's sister, Cheryl Ann Davis, are partners in the Miles Davis estate. "We're all family but we curate and take care of the legacy of Miles Davis." says Erin Davis. "It wasn't handed to us. It was bestowed upon us," Wilburn adds. "It's like walking. It's protecting our family crest, so to speak." The two laugh at that idea but they clearly take their job seriously. 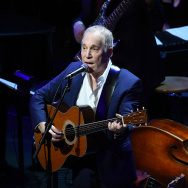 Among their responsibilities are managing who and how Davis' music is used, when to issue unreleased tracks, and how to preserve his paintings. Davis was a passionate painter whose work has been collected by the likes of Quincy Jones. Erin Davis says: "Some people will ask us to license music for samples, and if the content of the music isn't on the up-and-up, so to speak — if it's derogatory in any way, then we know we can't grant that license." 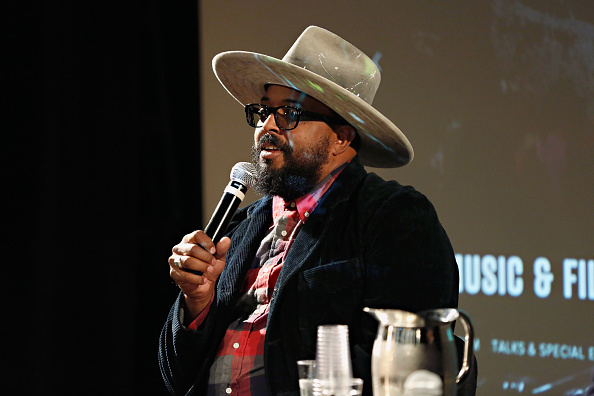 Erin Davis, son of Miles Davis, at the 2014 CBGB Music & Film Festival in New York City. But Davis says that his father wasn't very explicit in his wishes. He never said, You're going to look after my legacy. Because he never thought about a legacy. He thought about, What am I doing now? But I think he knew that he could trust Vince and I and Cheryl [Ann] and, also at the time, his sister and brother — Vernon and Dorothy — to do what needed to be done. Since we lost Vernon and Dorothy, it's just the three of us now. It's been a learning process, but we always have the passion to do it. Naturally, if any filmmaker wanted to make a movie based on the life of Miles Davis, he or she had to work with the family. Erin Davis tells The Frame that since his father died in 1991, they've been fielding pitches for feature films. After he passed away, it was kind of a blur for me 'cause I was 20 years old back then. And I remember our lawyer at the time telling us that Walter Yetnikoff had optioned the movie. He was a big player in the music business back then. I think he said that they had attached Wesley Snipes to play Miles in that incarnation. We were like, Ok, cool. I don't know. We were all still kind of mourning the loss back then. That didn't pan out. Then I remember having a meeting — I'm not going to say who the principal was in this pitch, but the first thing he wanted to do was have Miles crash his car and have a kilo of cocaine fly out of the car. And I thought, Eh, that's not gonna be too good. 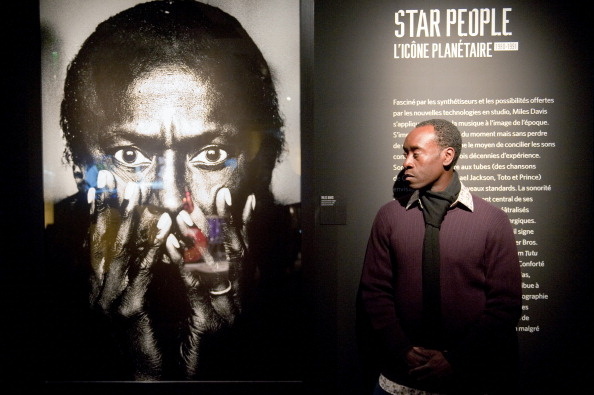 Movie pitches and meetings came and went over the years until 2006, when Wilburn made a bold statement that ended up setting in motion a series of events leading to Don Cheadle and "Miles Ahead." Davis: We were at the Rock and Roll Hall of Fame. We accepted the induction for Miles. And in the press junket, somebody asked us, Where's the Miles movie? Davis: But he was always at the top of our list. So instead of listening to pitches at that point, we hired our good friend Darryl Porter to be our general manager. He has a movie producing background. And Vince and Darryl were taking meetings with various studios. Wilburn, Jr: I saw Antoine Fuqua at the gym. So Antoine -- it was a revolving door after we said the name Don Cheadle -- Antoine Fuqua was attached, Herbie Hancock was attached to score. And so it morphed to this, with Robert Glasper, and Don's directorial debut. 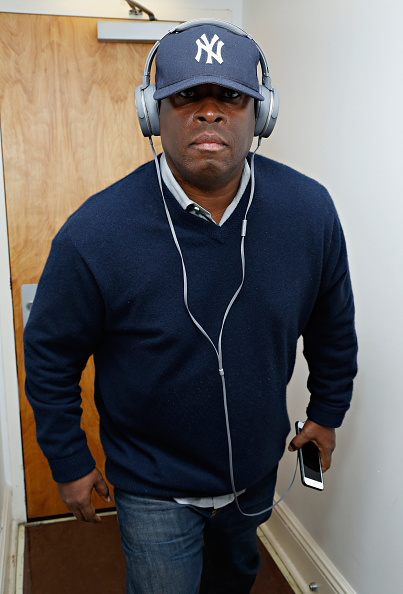 Vince Wilburn Jr., nephew of Miles Davis, at the 2014 CBGB Music & Film Festival in New York City. "We walked into what's supposed to be West 77th Street — Uncle Miles' brownstone," says Wilburn, who is a producer on the film. "I looked at Erin. We didn't really say much to each other because we felt a vibe. And I started crying." Erin Davis, who is is an executive producer on the film, was equally moved: "I didn't see Don right away because they were shooting something. But someone handed me some headphones. And I hear someone who sounds very close to my father coming out of these headphones and I'm like, Oh boy. It was like kind of eerie in the best possible way." Wilburn says that Cheadle was very welcoming to their input. Another cool thing, when they were finished shooting the dailies, Don would have Erin and I and Darryl, our manager, come to his suite and we would talk about it. He'd say, Hey guys, am I on the right track? I'm don't know if Don would want us to say this, but it involved us. Erin Davis sums up their role this way. When you're sitting in a meeting and you're talking about Miles Davis' music, and how it can be used, or how it should be used, or how we want to get it to new listeners, you know this is an exciting job for us. And it's an honor for us. Among the ways the family is expanding Miles Davis's music to new listeners is through an album by Robert Glasper, “Everything Is Beautiful" set for release on May 27 which is the day after Miles Davis birthday. The legendary musician would have turned 90 years old this year.